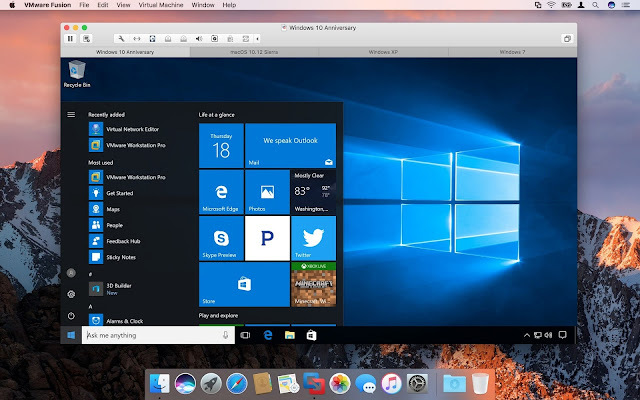 VMware Fusion 10 helps you to run Windows and OS X applications side by side on your Mac. The virtualization software provides lots of installation options and many ways to integrate Windows into your Mac workflow. VMware Fusion Pro makes Windows 10 feel right at home on your Mac. 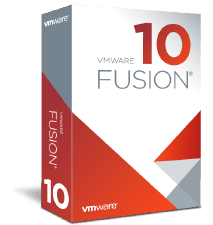 Whether you're doing a fresh install for that brand new operating system experience, migrating your Windows 10 PC, or upgrading your Windows 7 or 8 virtual machines, VMware Fusion gives you the best of both worlds. If you’re an IT Professional or a Developer, we think you’re going to really enjoy what we’ve been working on. We took the time to make some enhancements to existing technology such as our command line ‘vmrun‘ utility with many additional commands, while still working on brand new features like our new REST API.We’ve made many enhancements to the UI to modernize the look and feel, and added support for TouchBar as well as automated background cleanup tasks.There’s also a new 3D Rendering engine that leverages Apple’s ‘Metal‘ technology instead of OpenGL on the Host. This has given us improved battery life and more performance in many areas. There are some performance hits as well, so we’re eager to hear about your experiences with both performance and ‘correctness’ of rendering. 64-bit capable Intel® Mac (Compatible with Core 2 Duo, Xeon, i3, i5, i7 processors or better).Minimum 4GB of RAM.750MB free disk space for VMware Fusion and at least 5GB for each virtual machine.Operating system installation media (disk or disk image) for virtual machines. Recommended graphics hardware for Windows DirectX 10 or OpenGL 3.3 includes NVIDIA 8600M or better and ATI 2600 or better.